Our school motto at Busselton Primary is 'Always Our Best' it focuses on students becoming independent, lifelong learners acquiring the skills and knowledge necessary to thrive with the changing world. Within a stimulating environment, students are supported by an actively involved school community and committed, flexible staff who share a common philosophy. Our school recognises the importance of community involvement and endeavours to foster and maintain partnerships with industry, business, and agencies, as well as the local community and parent groups. We enjoy a reputation for offering an inclusive education which values many different cultures including our local Noongar community. We provide opportunities to enhance learning experiences for all. 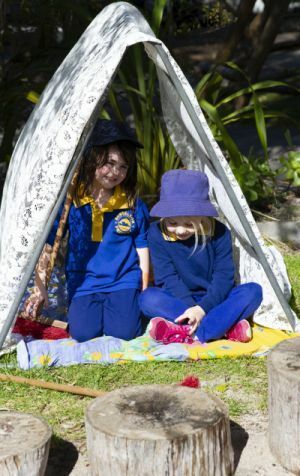 Steeped in history, Busselton Primary School was first established in the 1850s and continues to value the community as its most important asset. We work hard to ensure a safe and positive learning environment that optimises each Kindergarten to Year 6 student's potential to learn. With student numbers in the high 200s, our smaller size allows for a positive and welcoming environment where everyone is known and valued. Designed in a cluster formation, our modern classrooms have access to shared activity areas. Purpose built classes for music, art, science and library resource centre give options for speciality subjects. Infrastructure for Information, Communication and Technologies allows the school to keep up with this rapidly changing learning resource. The addition of two new early childhood classrooms has enhanced the facilities the school has to offer.